This picture was taken in Luang Prabang, Laos, at a restaurant on the main street called Khmu. 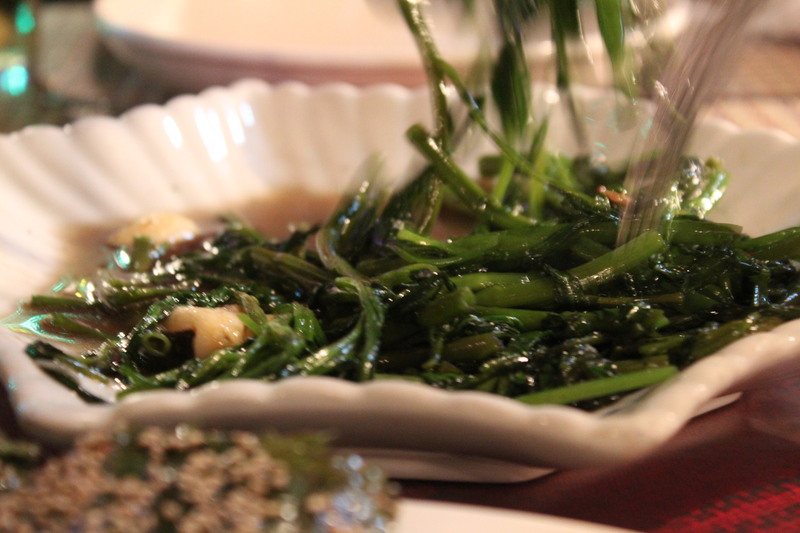 The first dish is fried Mekong seaweed with a chili paste, and the second is stir fried Morning Glory. Both were absolutely delicious, as was the Chicken Susee (not pictured). 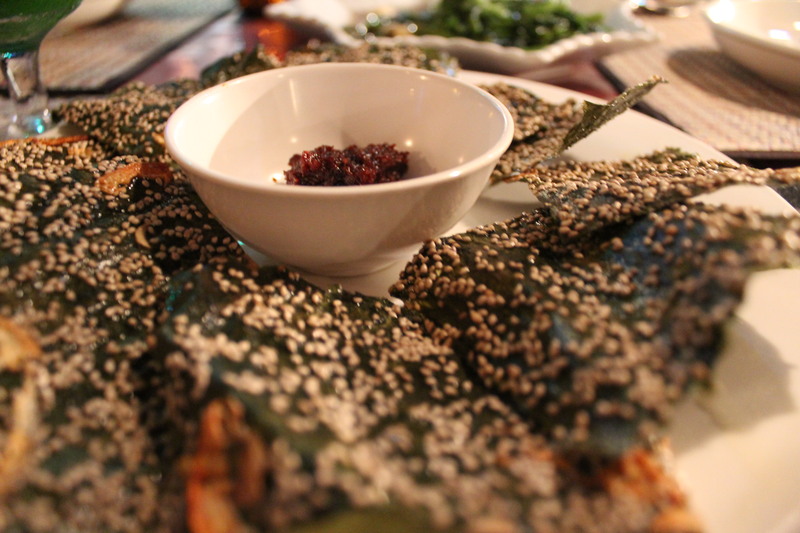 Khmu is a fantastic restaurant, and if you don’t want to eat from the street food carts, this is a really good alternative. The street food carts are really good too, but this is better for a sit down meal. This photo was taken in Paris, France. 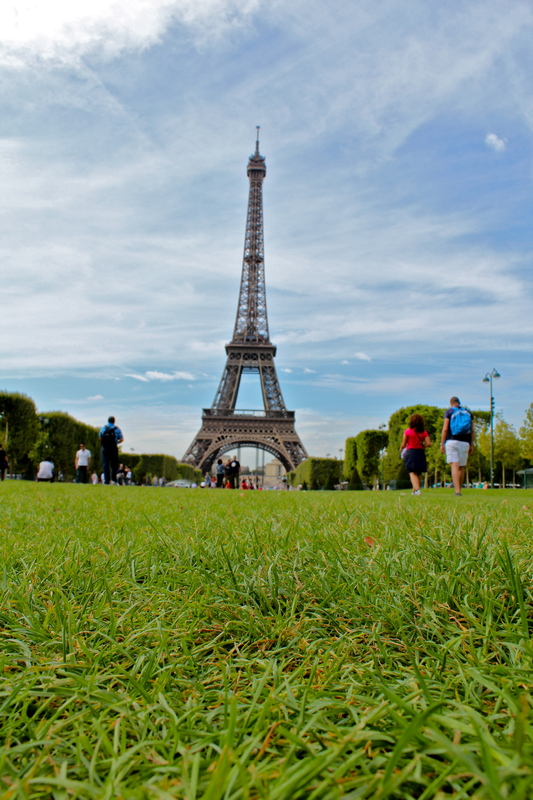 We spent a large part of the day just hanging out on the large grassy lawns in front of the Eiffel Tower. The tower is absolutely beautiful, and it’s never something you get tired of seeing. The area around the tower has a lot of little tourist shops and Crepe and soda Kiosks. It’s a really nice place to just hang out and spend a relaxing afternoon.